Waves occur widely in nature and have innumerable commercial uses. Pressure waves are responsible for the transmission of speech, bow waves created by meteors can virtually ignite the earth's atmosphere, ultrasonic waves are used for medical imaging, and shock waves are used for the synthesis of new materials. 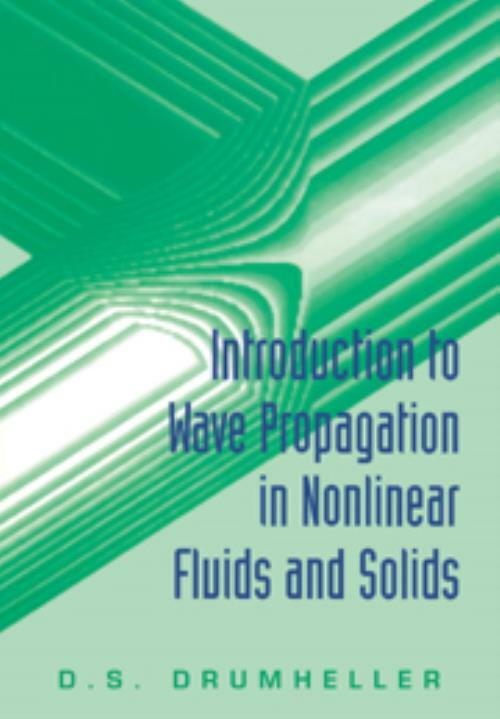 This book provides a thorough, modern introduction to the study of linear and nonlinear waves. Beginning with fundamental concepts of motion, the book goes on to discuss linear and nonlinear mechanical waves, thermodynamics, and constitutive models. It covers gases, liquids, and solids as integral parts of the subject. Among the important areas of research and application are impact analysis, shock wave research, explosive detonation, nonlinear acoustics, and hypersonic aerodynamics. Graduate students, as well as professional engineers and applied physicists, will value this clear, comprehensive introduction to the study of wave phenomena. 4. Constitutive models; Appendix A: numerical methods; Appendix B: material properties; References; Index. Douglas S. Drumheller Sandia National Laboratories, New Mexico.